Sailing into the scene in 2010, the Rolex Yacht-Master II was built specifically with the yachting crowd in mind. At 44mm in diameter, it’s a whale of a watch that sits confidently on a wrist. 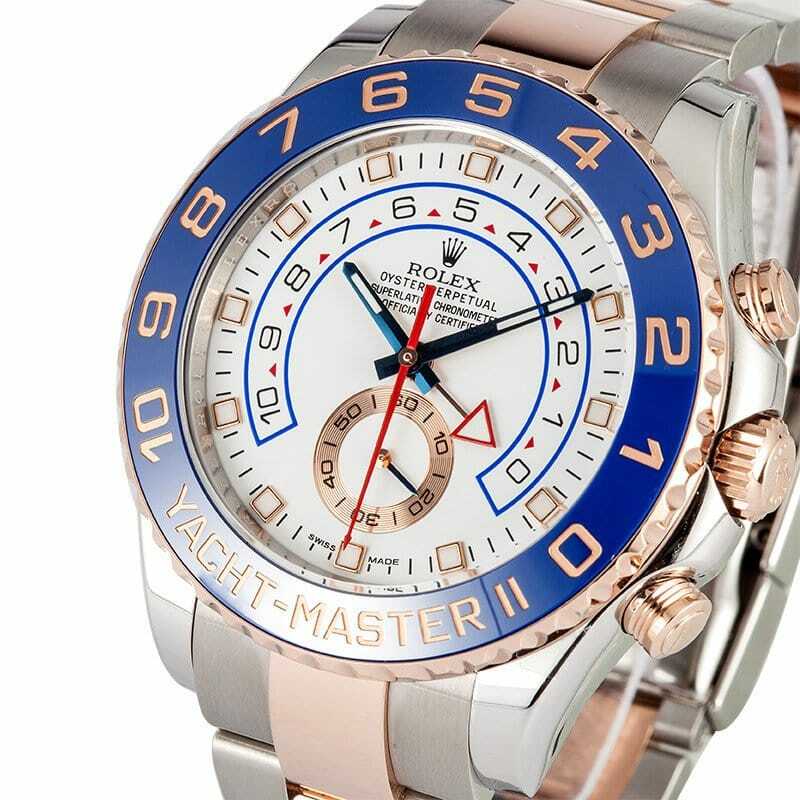 As with other Rolex tool watches, the Yacht-Master II boasts features that are actually valuable for its specific audience, and in this case, for the yachtsmen, the Yacht-Master II is equipped with a regatta timer. The Yacht-Master II’s mechanical regatta chronograph movement – Rolex Caliber 4161 – gives skippers a countdown feature with a patented mechanical memory that can be programmed from 10 minutes to one minute. The timer, a practical feature for those who compete in the open seas, ensures that the racing vessels cross the starting line precisely at the right time. Even more remarkable is that if there are modifications to the official race countdown, the watch’s timer can be changed on the fly even if its countdown has already begun. 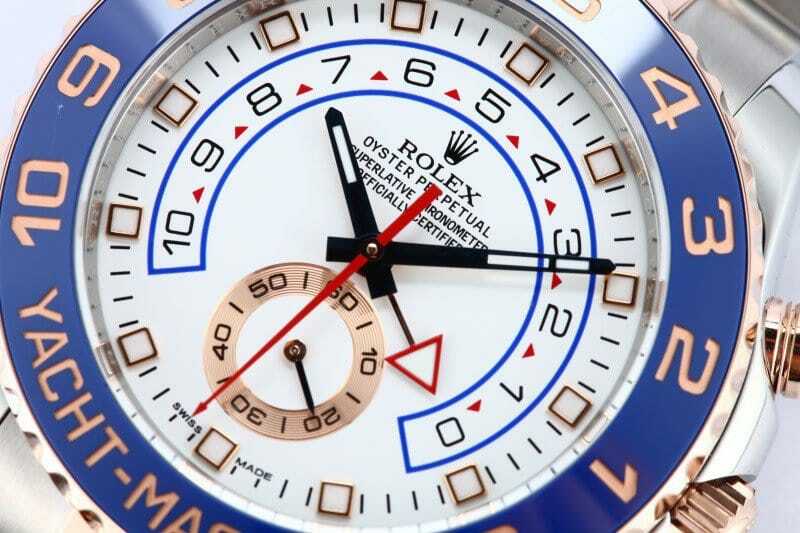 The timer function is actually programmed from the watch’s bezel, dubbed by Rolex as the “Ring Command Bezel” which controls parts of the movement. 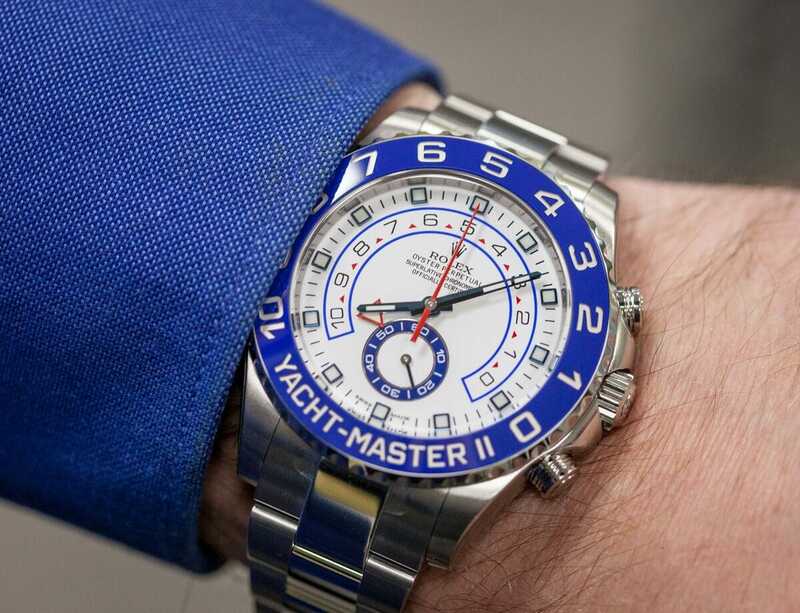 Aside from its technical prowess, the Yacht-Master is also impressive to look at. Available in four different materials – stainless steel, yellow gold, Everose gold and stainless steel, and white gold – each model is more impressive than the next. The bezel of the stainless steel, yellow gold, and Everose gold versions are outfitted with a blue Cerachrom insert in ceramic for a bold appearance, while the white gold version has a bezel in solid platinum for a monochromatic look. Between the large numbers on the bezel, the four hands, the hour-markers, the sub-dial at 6 o’clock and countdown scale on the dial, the Yacht-Master II has the danger of being too cluttered to look at. Yet, Rolex has managed to take all that information and design the face of the watch in a way that is harmonious, balanced, and just great to look at. To keep the elements at bay while out at sea, the Oyster case of the Yacht-Master II is armed with a screw-down winding crown with the Triplock triple waterproof system for a case that’s not only watertight, but also waterproof to 330 feet. Finishing off the nautical sports watch is the Oyster bracelet in matching materials – stainless steel, yellow gold, Everose Rolesor and white gold – with the customary Easylink system for length adjustment up to 5mm. 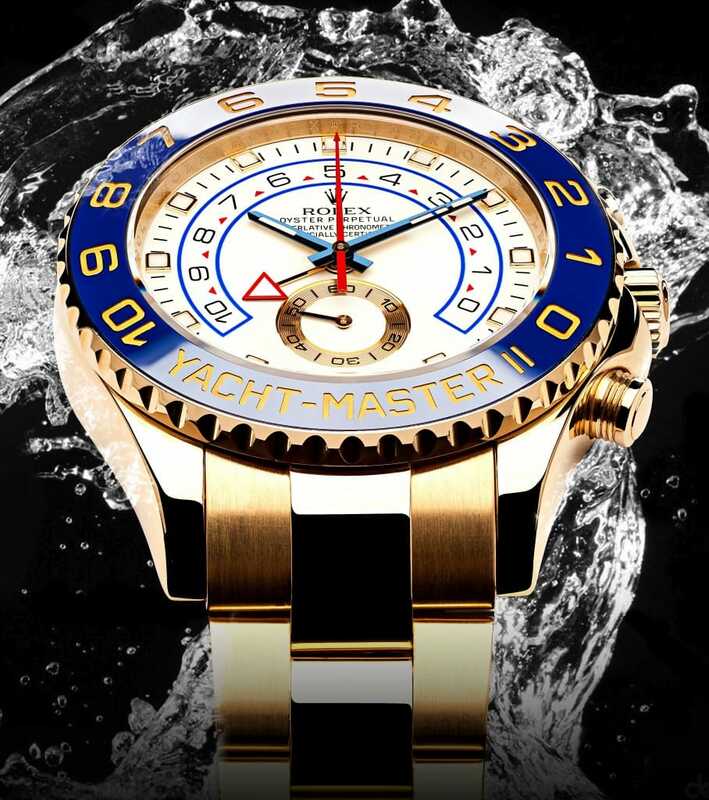 Not so much an evolution of the first Yacht-Master collection, but rather a revolution, the Yacht-Master II is an unapologetic demonstration of the brand’s technical watchmaking innovation and skill, coupled with a striking design that is very different other Rolex sports models. 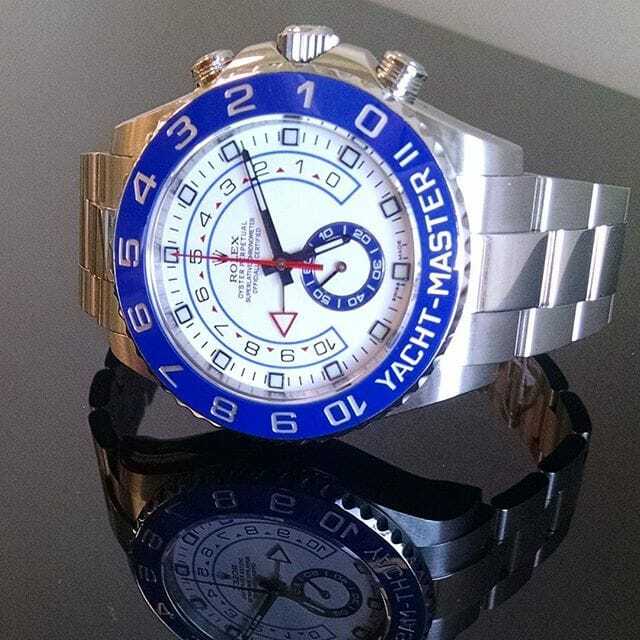 It is a Rolex that charts it’s own course.